Last Thursday, Google placed a major $700 million bet on a new strategy. 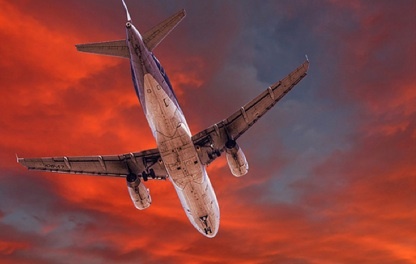 It announced an agreement to purchase ITA Software, a leading provider of flight information (fares, schedules, availability) to most of the key online travel sites, travel search engines, and airlines. ITA’s existing customers include Bing, Orbitz, Kayak, Expedia’s Hotwire, Continental, US Airways, American Airlines, and Southwest. Google was careful to note that it would “honor all existing agreements.” Indeed, if Google wants the deal to pass regulatory antitrust scrutiny, one requirement will very likely be a prohibition, or at least a promise on Google’s part, not to cut off ITA’s flight data to the competition. This deal is not primarily about denying other travel search sites access to this data. Rather, it signals a much more subtle and profound strategy shift for Google—towards more customized search experiences in different categories, starting with travel. In other words, it is moving in the same direction as Bing, which has built out vertical search across not only travel, but also health, shopping, local, and, most recently, entertainment. To put this deal in perspective, it is roughly the same size as the $750 million AdMob deal, which represents Google’s entry into mobile search. Drilling down into different categories of search could be just as important to Google as mobile search. For the most part, up until now Google search philosophy has been to show the best results from the Web and get people off of Google as fast as possible to other Websites. But for certain types of searches, Google could do a lot more to filter and organize results. 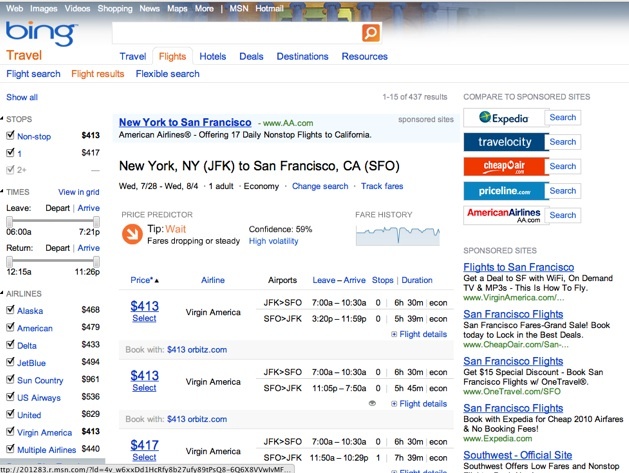 Travel is one obvious area where Google could do more to show available flights and prices. Google wants to create a deeper vertical search experience around travel so that people can find what they are looking for more quickly. Does this mean that Google is becoming more of a destination portal? Not exactly. For a hint at what Google Travel might look like, take a peak at Bing Travel. Bing licenses ITA’s data, making it easy to search for flights by entering the cities you want to fly between. It gives you most of the data you need to make a decision (price, airline, departure and arrival times, number of stops), but then sends you to Orbitz or directly to an airline Website to make the purchase. (See screenshot below). We believe the ITA acquisition and the shift toward vertical search pushes Google more in the direction of CPA-based search advertising. Such CPA ads are generally higher margin than classic CPC ads. But Anmuth notes that Google has so far stayed away from vertical search because it didn’t want to alienate certain advertisers who use Google to drive traffic to their sites. But Google is feeling pressure as “core search growth slows” and may now be more open to picking off specific vertical search categories such as mortgages, credit cards, insurance, and healthcare. If Google does start to go after vertical search in the same way that Bing does already, search results will look a lot less uniform than they do today. Those much-maligned “ten blue links” just don’t cut it anymore.